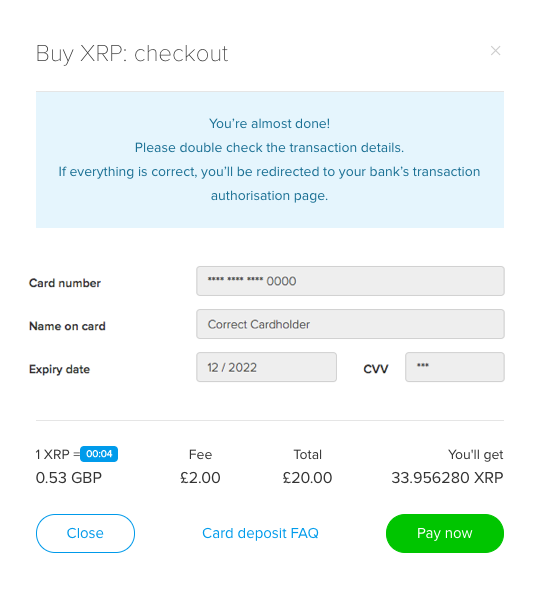 In order to purchase XRP with your card, you need to make sure that you are verified at Cryptopay and have an active credit/debit card* issued in your name with the 3D Secure option enabled and sufficient funds to make this transaction. 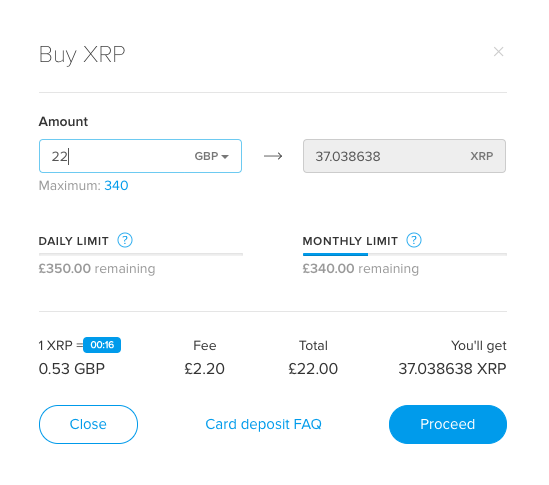 In the opened pop-up, in the "Amount" field enter the amount of funds you wish to purchase XRP with. To the right you’ll see the amount of XRP you are going to get. The exchange rate and the processing fee will be displayed at the bottom. Once you are ready, click the “Proceed” button. Payments are processed in EUR, USD, and GBP. In the opened tab enter your card details. 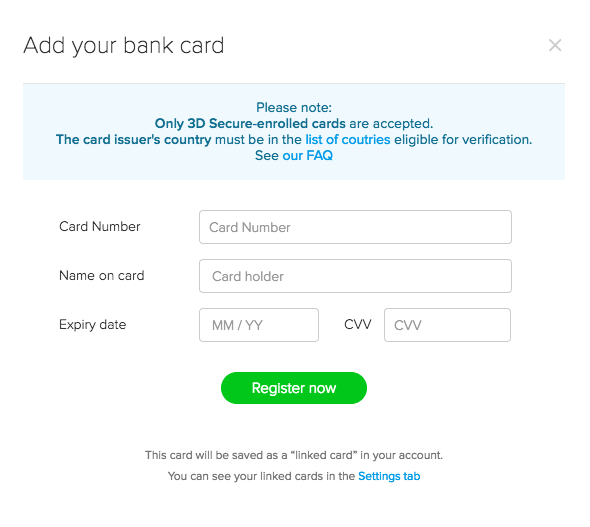 If your card is already linked to your account, double-check the details and press "Pay now". After pressing the "Pay now" button, you will be redirected to your bank's 3D Secure page. Enter the 3D Secure code, and you'll be redirected back to Cryptopay. Once the transaction is successfully processed, you will see a pop-up with results and transaction details. 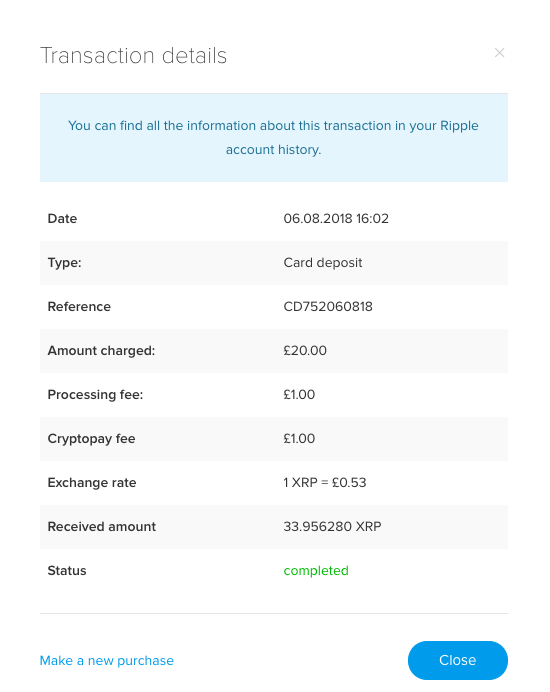 Funds will be automatically credited to your Cryptopay XRP wallet, and you will be able to see this transaction in the history of your XRP account. If you have any questions, feel free to contact our amazing Support team via live chat or email support@cryptopay.me.